Absaroka Dogsled Treks. Mush your own team of huskies on a snow covered trail running alongside a pristine mountain stream. It's your opportunity to enjoy the unique experience of dogsledding for a day. 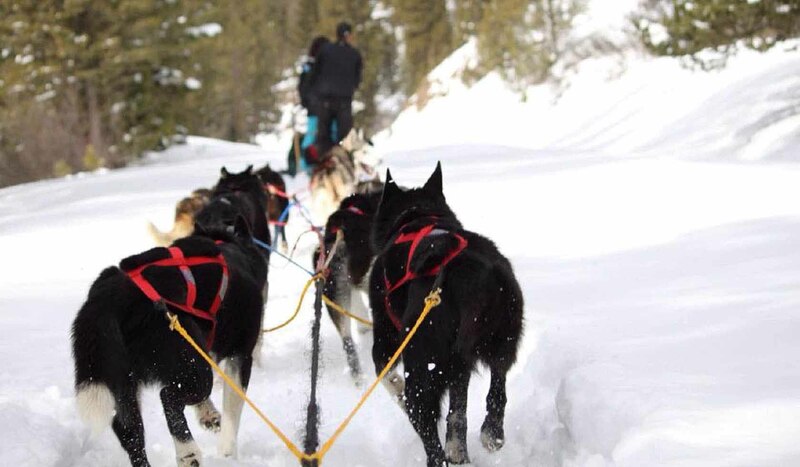 Drawn by a team of Alaskan and Siberian huskies, Absaroka Dogsled Treks offer you the adventure of a lifetime! Bundle up the kids and mush a team accompanied by an experienced guide. Enjoy the serenity of Mill Creek Canyon as you explore the Gallatin National Forest of the Absaroka Mountains. Take it all in on the Denali trek overlooking mountain summits, topped with steak and trout lunch grilled to perfection. Or, enjoy a picnic lunch in the Rockies on the Yukon trek. If time is limited, get a taste of dogsledding on the introductory Tenderfoot trek. Based at Chico Hot Springs Resort, treks are available every morning except Christmas Day. Season starts the day after Thanksgiving through the end of March.